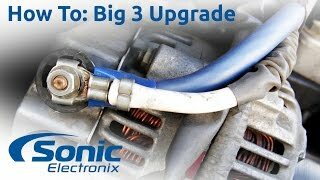 Upgrade the Power and Ground Cable under your hood with the Big Three Upgrade. These kits have everything you need to do a Big Three Upgrade. 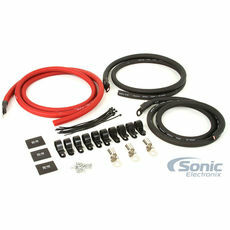 Anyone with an amplified aftermarket car audio system, especially those over 1000 Watts, should seriously consider performing this upgrade. If you've noticed dimming headlights, slow window roll down speeds, or voltage drops it's time to do a Big 3 Upgrade.